Amazing field trip to the zoo! We had such an amazing morning at the zoo today! 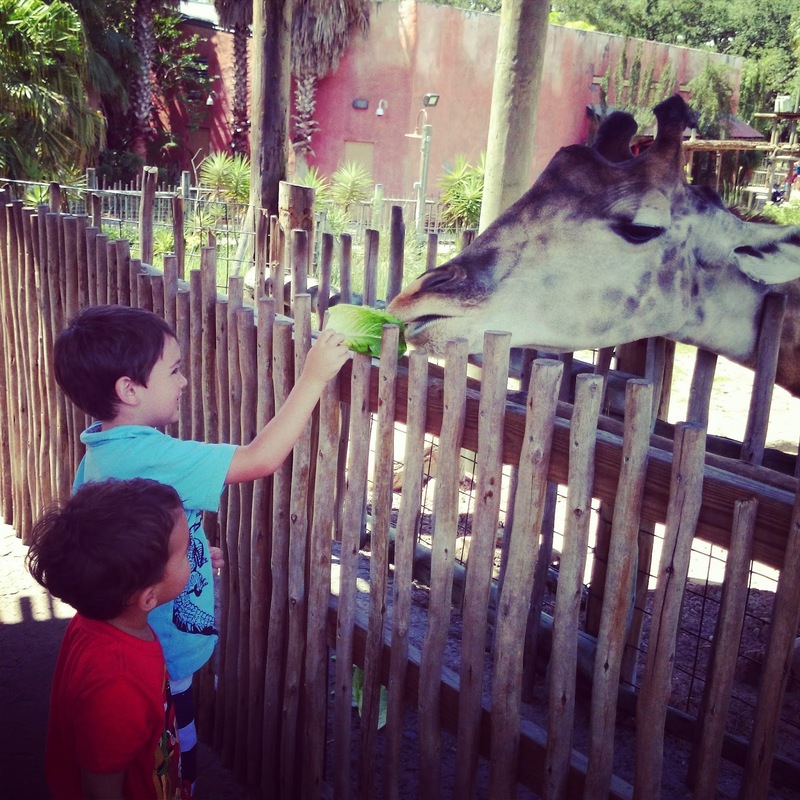 We got to feed the giraffes after our safari trip through the Africa section at our zoo. We also got to see the penguins eat some sardines and we got to see an unbelievable homeschool lesson from elephants! G was terrified of the giraffe's tongue trying to get the lettuce in his mouth! B had a blast and showed his brother it was okay! Daddy helping G feed the giraffe! Got this quick snap of the cheetah! He is so quick and always hiding; it was so cool to get to see him today! The zookeeper called the elephants by name and the big elephant came from across the field. The zookeeper hurled apples, pears, green bell peppers, carrots, a honeydew melon and broccoli in the air and it landed below in the elephant's watering hole. You can see baby elephant come running! What an awesome watering hole for them! 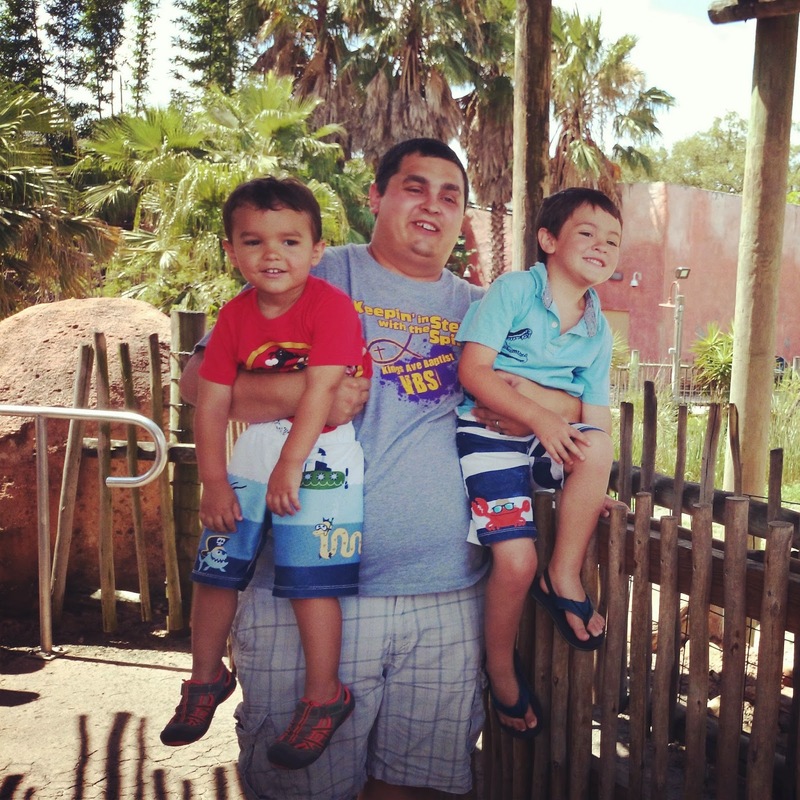 What is your favorite activity or animal at the zoo? Hello and Happy Father's Day to all! I know that today can be full of mixed emotions, some of joy and some of pain. I would like to extend to all a gentle reminder that we all have one Ultimate Father in heaven who watches over us all and loves us for us. He knows us in our darkest day and in our most joyful hour, and loves us the same unconditionally. This is a great reminder to me as well because my family and I are faced with the blessing of having sold our house and while not making a lot of money, it freed us of a mortgage payment without having to come out of pocket. My husband and I both felt like it was time to let this house go. We are grateful to have been able to be home owners but my husband is getting ready to go back to school and with hopes, be a pastor or a missionary in five years time. I could not be more proud of him and we both know we could be anywhere in that time. We feel God has blessed us with this home and He will lead us to the next journey when it is His timing. I just have to remember to be patient and to wait for His timing. So, in the meantime, I am having to get a whole house packed in about three weeks and I think we are just going to rent for a bit until we hear God's next calling for us. Where does that leave homeschooling during the summer for this Momma? Well, this week the boys did some ABCmouse.com learning about construction workers, Letter Q review, phonics videos A-F, learned about the four seasons and weather terms. It's the summertime, so the pool has been full of all the kids in the neighborhood so we've gotten some fun, sun, and social time. My boys did amazing this year and I am so insanely proud of them! We went from fighting over making the perfect letter B on the second day of school to my oldest knowing how to not only write the whole alphabet but know the phonics of it along with 120 reading words! He knows how to count from 1-30 and understands the one to one ratio of things. My youngest did not know his colors when the year started. I actually asked my husband if maybe he was color blind because it just wasn't clicking! I bought color changing dinosaur egg oatmeal from Quaker because he loves oatmeal and dinosaurs. Guess who learned their colors? He was then able to apply it when we went up for his uncle's wedding and saw the leaves changing colors and he knew ever single color! We went through almost three different devotional books for children and some fun Bible stories. We learned about genealogy of family (sons, daughter, aunt, uncle, grandparents) We learned some parts of the body and how to keep it healthy. We learned about professions like police officers, fire fighters and construction workers. We learned about different types of animals and their lifecycles. We learned about fruits and vegetables. I am incredibly blessed to be able to homeschool my sons. There are days that Satan tries to sneak in and lie that I am not doing the right thing or maybe they would be better off in school. I can't even let any of those thoughts go further than that though because God knocks them all down to the ground. He knows I am doing the right thing for our family and I have all my faith in Him. What I plan to do is pack my house in 3 weeks timing and move and get settled. I had hoped to homeschool during the summer but I think we may be taking a break until August. We have a lot fun things planned during this time like VBS, trips to the beach and zoo, a special visit from his cousin, aunt and uncle from Pennsylvania, my oldest turns five and I will be thirty before our homeschool year starts back up! In the midst of everything going on, I will be taking a break for the homeschool portion of my blog. I still plan to post encouraging articles about the Lord here and on my contributor blog, Satisfaction Through Christ. Hopefully there will be more one more giveaway before the school year starts back up also but I am going to try to relax and enjoy the summer to be refreshed for next year school year. The boys will still be doing ABCmouse.com lessons and reading lessons with my oldest so I will catch you all up with that soon. I hope you all are having an amazing summer so far and thanks so much for keeping up with us and our adventures! Spreading Joy Daily Winner Announced!!! 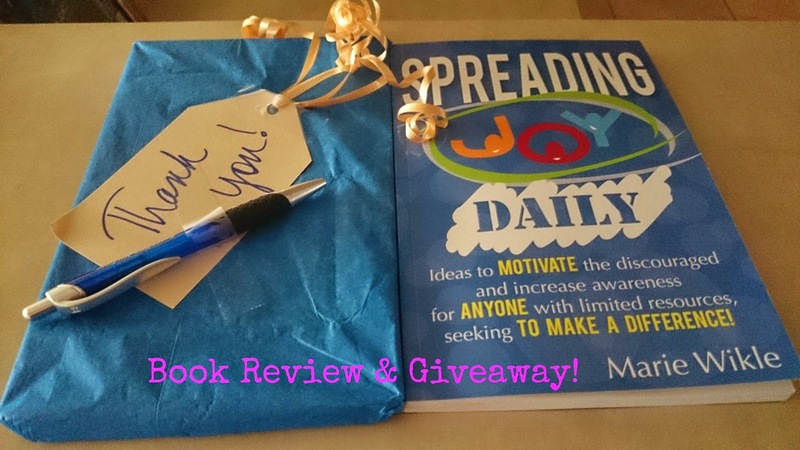 Congratulations to Donice O. who is the winner of the "Spreading Joy Daily" giveaway! Donice has been emailed with the prize information. Thank you to all who participated in the giveaway and a big thank you to my friend, Marie who wrote such an amazing book! I hope to have more giveaways coming soon! Thanks again to everyone who participated! 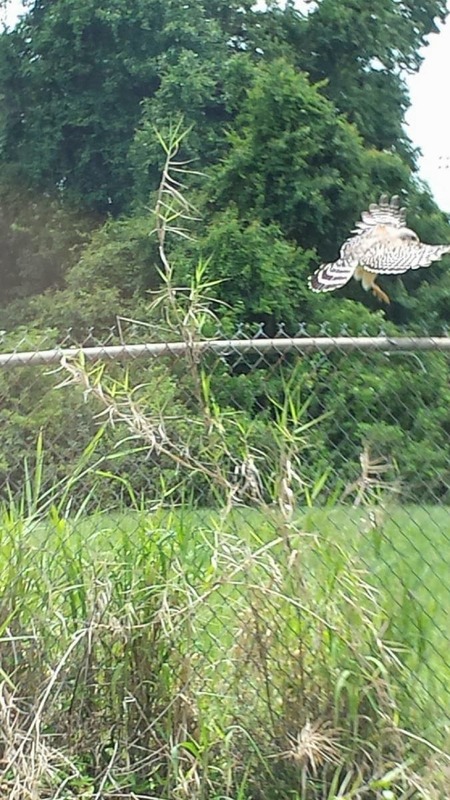 How awesome that Grandma caught this picture of a hawk flying as we were out for a drive to visit with her the other day. Monday - We read about The Story of David (David, God's Chosen King - 1 Samuel 16; David and Goliath - 1 Samuel 17, and David and Jonathan - 1 Samuel 18-20 with Proverbs 17:17 in Sarah Young's "Jesus Calling" children's book. It was about God wanting us to know Him as Savior and that He is also on our side as friend. We also read Veggie Tales books by: Karen Poth. "Larry Makes a Choice" and "Bob and Larry's Creation Vacation." Thursday - Lesson 45 out of "100 Easy Lessons." (new words and sounds: v, lots, ham, take, same) B is up to knowing how to read 120 words! We also read "Victor Vito and Freddie Vasco" by: Laurie Berkner to go along with the letter "v."
Friday - We read 'The Little Red Hen" by: J.P. Miller. Wednesday - Swimming at the pool and playing Marco Polo and Colors games. Thursday - The boys colored their math lesson that dealt with bumblebees. Then we sang and danced to Laurie Berkner's "Bumblebee" song and ended up dancing and singing to the whole Laurie Berkner DVD! Monday - We had some fun playing with Playdoh. Does this look like a kid who has strep throat? We had an unexpected doctor's visit Tuesday but here the both of them are smiling away. Good news is he is feeling better! Thursday - The boys did a cut and paste activity for math. Thursday - B wrote twenty nine and 29. Wednesday - The boys each counted 1-10 for Marco Polo at the pool. Thursday - We counted from 1-30. Monday - Both the boys learned about fire fighters and police officers on ABCmouse. Wednesday - The boys learned about the songs: "There Were Ten in the Bed," and Letters B and W videos going over phonics of b and w on ABCmouse. Thursday - The boys did Letter Videos V, A, and B on ABCmouse to go over phonics of v, a, and b. B was getting V and B confused so I thought these cute videos would help him. Friday - B went over lowercase and capital letters for w and x and went over weather vocabulary for letter w and fall. G learned about primary colors, shapes, and letter p for pig on ABCmouse. So cool to see nature and get a chance to snap a photo of it! Good job, Grandma! Places that Offer Free Summer Fun for Kids! What do you do when you are a parent and your kids are home with you all summer? I learned a few years ago that there is a lot to do in the summer; if you just know where to look! I am a homeschool Mom, so I wanted to find activities that were fun and educational for my children, and also light on the pocketbook! 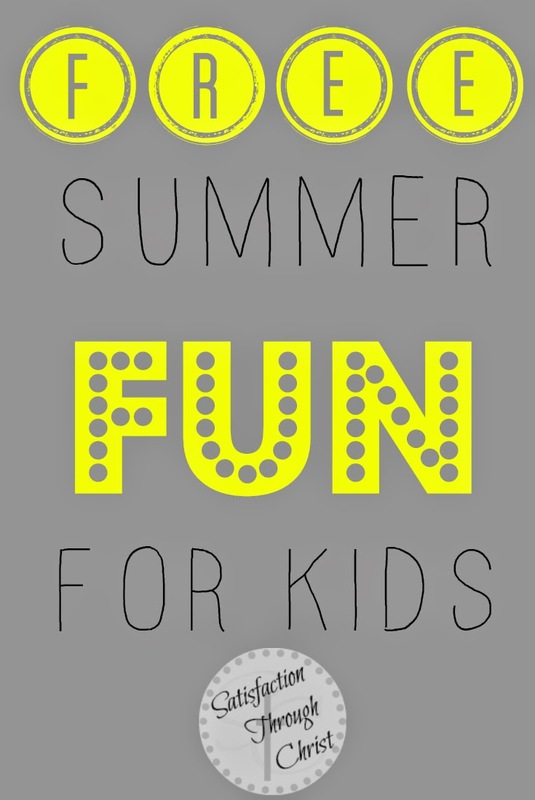 Here is an awesome list of places that offer free events for kids in the summer. The first Saturday of the month, Home Depot offers a free build a craft workshop for kids. It is from 9 am to 12 pm but it is first come, first serve so you may want to get there early to make sure your child receives a kit to build. Apron and hammer are provided (Parents do have to sign a waiver for child to use) and your child receives a pin to put on their apron and certificate once the project is completed. Lowe’s also offers a similar build a craft project that usually focuses on the latest DreamWorks movies. This one you do need to sign up for online to guarantee a spot for your child and it is from 10 am to 11 am every other Saturday. Apron and hammer are provided (Parents do have to sign a waiver for child to use) and your child receives a badge for their apron and certificate once the project is completed. If you have a Pottery Barn Kids store near your house, they offer free story time every Tuesday from 11 am to 11:30 am. Your child receives a passport and after five visits, gets a free prize from the store. They also are having a free Reading Challenge where you get a prize after completing the required books on the store’s list. There are also various events going on through the summer for Father’s Day and Super Hero days! There is a program where kids can bowl free during the summer. Check out this great post for more information on how your kids can bowl for free. TOYSRUS stores offer various free events during the summer so check back often to see if they update the schedule but it is usually a free Lego build, which my sons love! Barnes&Noble bookstores offer various story times through the summer and usually have a snack and an activity to follow up the story. IKEA offers a free kids (ages 12 and under) lunch every Tuesday and if you sign up for the free IKEA card, you get a free coffee or tea every time you visit the café. They also offer free crafts and activities where your child gets a T-shirt, take home craft and sometimes a snack! They also get a card that gets stamped at every event and once the card is filled out, they get a prize. If you have a Westfield mall near your house, check out the WFamily Fun Days in the summer where they have story times, kids activities, and snacks. If you don’t have a Westfield mall, try looking up your local mall and see if they offer fun activities as well. Check your local library for fun events and activities in the summer. The library system where I live offers events in multiple locations all summer long! Some library branches you may have to get there early depending on how busy it is where you live. “But the fruit of the Spirit is love, joy, peace, forbearance, kindness, goodness, faithfulness, gentleness and self-control. Against such things there is no law.” Galatians 5:22-23. 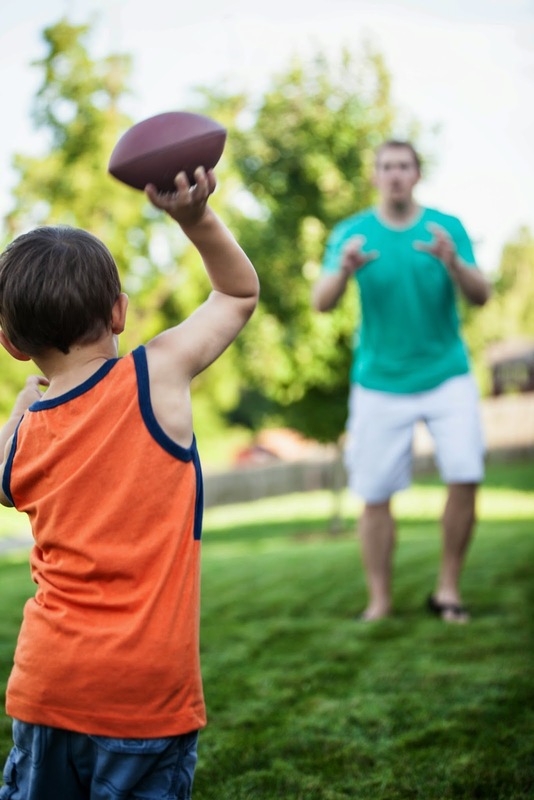 Summertime learning doesn’t just have to be about academics. It is a good time for character building and socialization. I am so thankful for all of these companies and places that realize education can still happen in the summer and they make it fun for them! It is also a great time for the kids to socialize and even for a parent to socialize. What places do you know about in your area that offer free summer fun for kids? 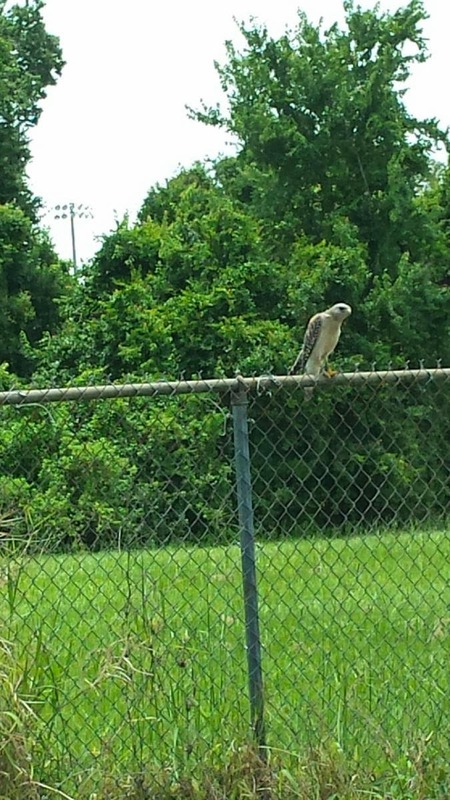 This post originally appeared as a guest post on Satisfaction Through Christ on June 9, 2014. Educents Weekend Sale! Free Shipping and No TAX! Educents is offering free shipping and no sales tax on purchases this weekend! There is no promotional code needed so head on over to Educents and check out the great deals! 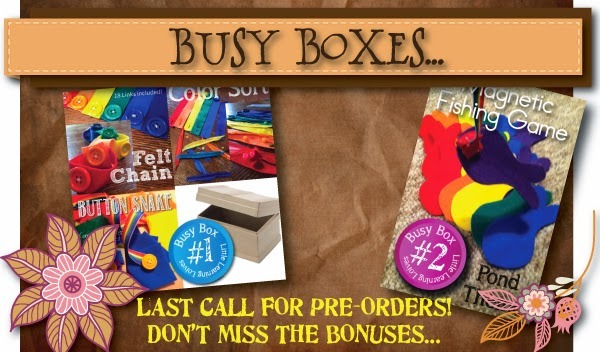 Busy Boxes for Preschoolers & New 2014-2015 Homeschool Planner Sale! Hurry before they are all gone! Weekend sale at Little Learning Lovies! EVERYONE who bought or buys a Busy Box during the pre-sale at any level will get to pick out any of our Single Puppet Kits for free! This is an extra bonus that isn't listed on the product page. When it comes time to ship out these boxes, we'll contact you to find out which puppet kit you'd like. Don't forget! You ALSO get coupons for free LLL downloads AND if you buy 3 or 6 boxes, you'll be saving a LOT of money! These are so fun, so useful, and they will LAST unlike so many toys out there that are played with for a day and then broken. Don't forget to stop by and look at the new 2014-2015 Planner! 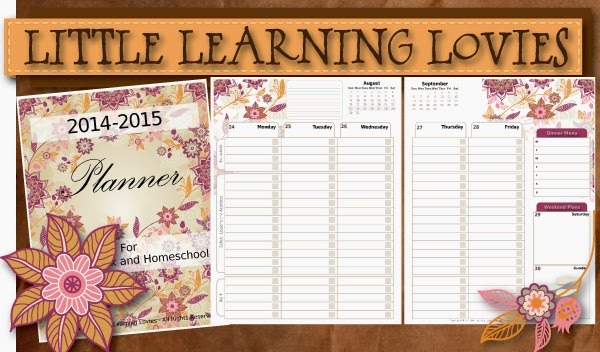 Perfect for home, work and homeschool! Little Learning Lovies is a proud Sponsor of Raising Samuels. 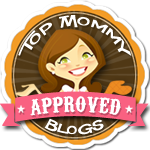 I am paid a percentage from sales from Little Learning Lovies. There is no purchase necessary but every little bit helps to keep my site up and running! I am also proud to have them as a Sponsor because it is a great company with quality products! I was given a complimentary copy of this book by the author, Marie Wikle for an honest review. This is a book written by my friend, Marie Wikle. She is the owner of a Charity called Spreading Joy Corp. where they donate new items and give people their hope back. The donations go to children at Christmas, back to school time, and other various times of the year. Donations also go to help the elderly, women's shelters, the homeless and anyone needing some joy back in their life. Her vision has been that everyone can do something to help another person and who firmly believes, “there is no joy like spreading joy." Spreading Joy Daily is full of 365 entries for everyday of the year on how to help spread joy in not only your life, but the life of others. The book is full of so much enthusiasm and love, and it is hard not to get excited and have your heart warm. Whether you are having a bad day or the best day ever, this book is a must read! Marie has graciously let me review her book and she also gave me an extra copy to giveaway! The book normally retails for $12.99 and it comes with an actual book (not an ebook!) and a pen. All of the purchase profits of the book sales go right back into helping others. Marie and all of her staff are volunteers who enjoy helping others and giving back. Don't you want to learn how you can help spread more joy in your life and the life of others? Good luck to all! If you are the winner, I am going to need your address so I can send you the book in the mail.